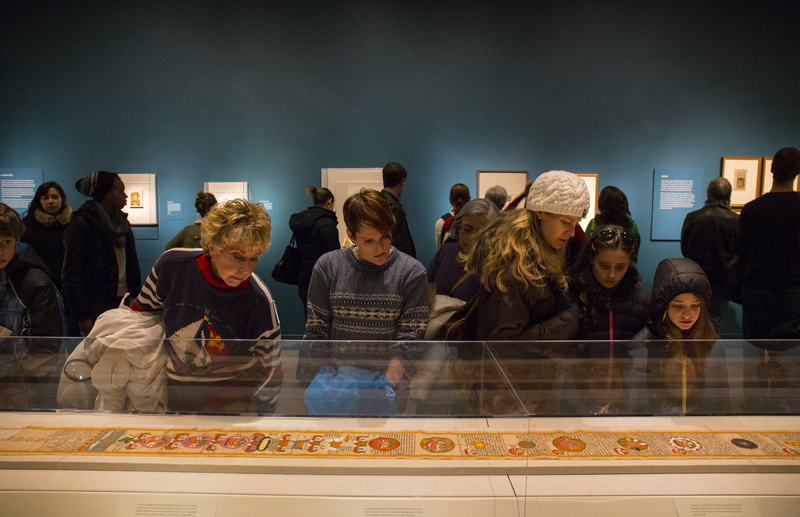 Crowds gathered for one last look at Yoga: The Art of Transformation during closing weekend (photos by Neil Greentree). We said goodbye to Yoga: The Art of Transformation over the weekend with tours and talks and ImaginAsia programs for young visitors (where else could you make your own chakra?). 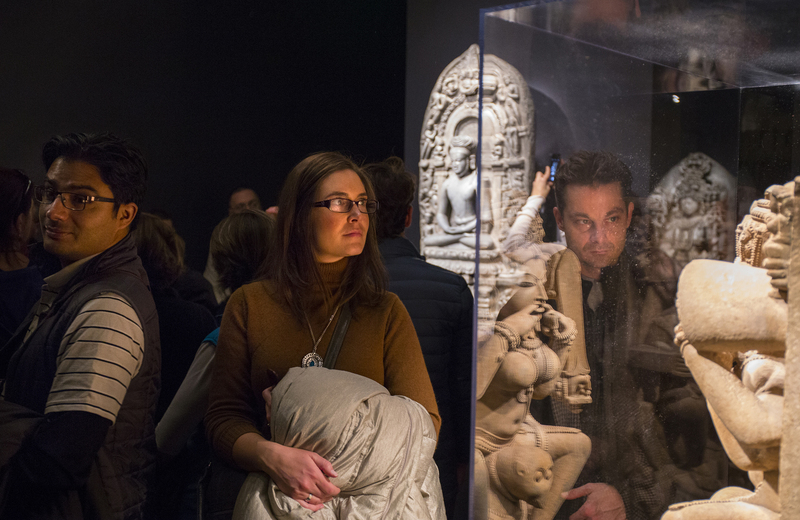 More than ten thousand people visited the exhibition on Saturday and Sunday to take one last look at stunning paintings and sculptures that brought to life the strong visual history of an ancient practice. Yoga newbies as well as longtime practitioners offered praise for the exhibition, as they patiently waited on lines to enter the galleries. Taking a close look at yoginis during closing weekend. For those of you who missed the exhibition, or want to see it again, start packing your bags! Yoga: The Art of Transformation will be on view at the Asian Art Museum of San Francisco (February 21–May 25) and at the Cleveland Museum of Art (June 22–September 7). Next Post Next Post: Happy New Year of the Horse!